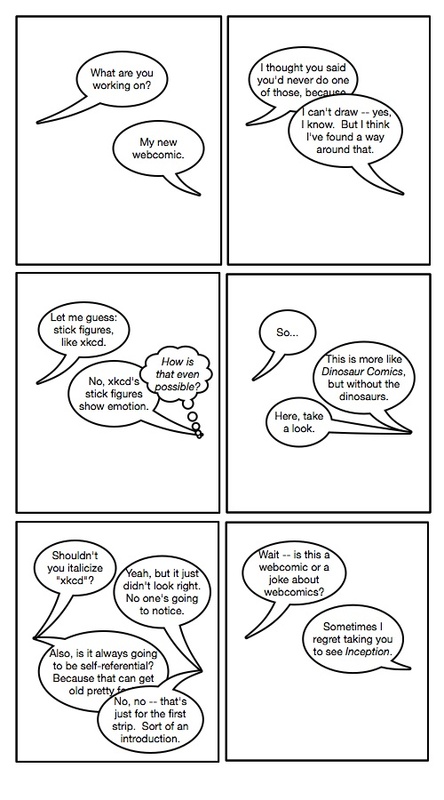 What happens when someone who can’t draw tries to create a webcomic. Nice – the thought balloon in panel 3 really offset the focus of the blah blah blah – oh, sorry, I lost the thread of my thought, but I still liked this. Next up: A Web comic about invisible bees. Invisi-bees — that’s something I could actually draw.